Nail biting. Thumb sucking. Hair twirling. Scab picking. Shirt chewing. Do you have a habit that’s hard to stop? A habit that embarrasses you or gets you in trouble? If so, you’re not alone. Lots of kids have habits they wish they could lose. But habits are stronger than wishes. They lock on, holding you tight. Even if you want to break free, you can’t. Unless you have the keys. 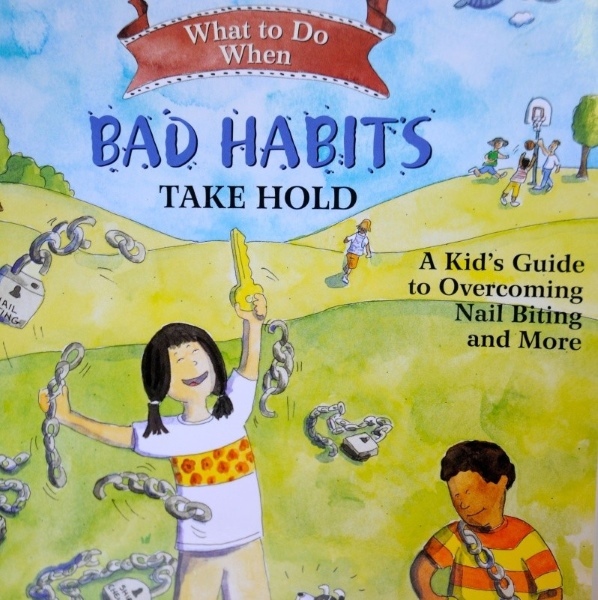 What to Do When Bad Habits Take Hold guides children and their parents through the cognitive-behavioral techniques used to treat a variety of habits. 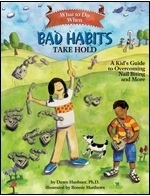 Engaging examples, lively illustrations, and step-by-step instructions teach children a set of habit-busting strategies in the form of “keys” to unlock the chains holding their habits in place. This interactive self-help book is the complete resource for empowering children to set themselves free. An extremely helpful book, highly recommended for parents to share with children to help them change their lives for the better.